Staff was very friendlyand helpful in picking a storage that works great for my needs. The company is very clean and spacious to allow room to maneuver and get to where you need with no problem. I would recommend Lock Tight Storage to any one. I am so happy with this storage place. The prices are reasonable and the people are super friendly. Very clean also. They even gave the teachers at my work wipes for their classrooms to help with flu season. I highly recommend this place. VERY FRIENDLY STAFF. EASY TO WORK WITH. CLEAN FACILITY. *Full disclosure: I'm the daughter of one of the company's owners. 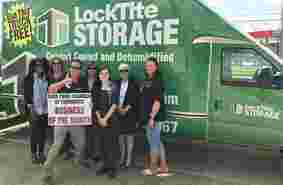 * I had an excellent experience with Locktite Storage Deer Park. Jessica (the manager) was incredibly helpful. She went above and beyond to ensure I received excellent customer service, even coming into the office on her day off to take care of a last minute detail for my unit. Jessica was very responsive via both email and phone, and was always able to provide the answers to my questions in a cheerful and efficient manner. The employee I worked with the day I moved my items into my unit was also helpful and friendly. Working with these two excellent employees made my experience as low-stress as possible (as low-stress as moving during a Houston summer can be!). Thad and Miranda are amazing and a pleasure to work with. I had my travel trailer stored here for more than 3 years while I was working in Louisiana. These folks actually took the time to send me emails and call my phone when I was due on my rent to avoid me paying late fees all the time. On more than one occasion they helped me resolve other issues that I had while trying to move my trailer to a buddy's house, and always welcomed me back with open arms! I highly recommend Locktite Storage for your needs! They also keep your stuff safe. Miranda you are an amazing person! Thank you so much! If I need to restore my trailer, I know where I am going! 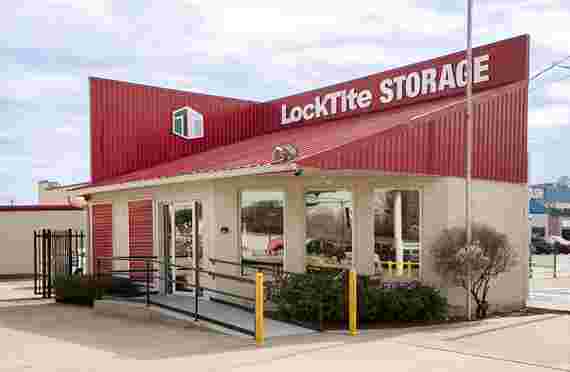 I have had items in storage at different storage facilities, but Locktite Storage, Deer Park, supersedes ALL of my expectations X 100!!! Thad, the property manager is exceptional in all areas! The property is kept clean and they even have a moving truck for your use. They always go above and beyond to help me out and that is very much appreciated!!! I highly highly highly recommend Locktite Storage Deer Parkn because they are absolutely the best!!! You will NOT be disappointed! Very clean property. Excellent customer service! Big thanks to Thad who was able to move me to a different unit that was more accommodating to my needs. Very nice facility with a great price. Thad was friendly and helped us find just the right space for our needs. We appreciated how he explained everything and quickly took care of all the paperwork. Highly recommend LockTite. p.s. free lock too! The greater Houston area is full of Texas history. To many, the city of Deer Park is known as the “Birthplace of Texas” because Texas won its independence here at the Battle of San Jacinto in 1836. For a long time, Deer Park was known for its agriculture. When oil was discovered in Texas, Shell Oil arrived and breathed financial life into the ranching and farming community. Oil & gas gave an economic boost to the city and continued to build up the city over the years through controlled growth, making Deer Park a master planned community. Today, two dozen or more petroleum and chemical plants including Shell, Universal Plant Services, Dow Chemical Company, Lubrizol Specialty Chemicals, Mistras Group, Siemens Energy and Flexitallic have landed in Deer Park, making it one of the largest industrial areas in Texas. The Houston ship channel is largely used by these various industrial refineries. As Deer Park continues to increase in population, it has also brought in many retail centers for shopping and consumer services. In fact, the LockTite Storage facility at Deer Park is located in a densely populated area with lots of shopping. For those who like to shop at small, locally-owned businesses, we suggest visiting Serendipity Gift Shop, and Norma's Country Dreams for one-of-a-kind apparel, a variety of highly sought after ‘Kendra Scott and Vera Bradley' products and a true boutique experience. Specialty shops such as Altar'd make gift giving a breeze with their large selection of hard to find gifts and unique home furnishings. Deer Park also has traditional big-box retailers as well. Deer Park ISD serves the community students with over 15 campuses that provide education to grades K-12. Deer Park ISD is known throughout the State of Texas for its quality instructional programs, outstanding facilities, and exemplary teaching and support staff. Team Deer Park--comprised of all employees, students, parents, taxpayers, community members and elected officials---received a “Recognized” rating from the State of Texas this year, the seventh time the district received the rating in the last eight years. Deer Park ISD is also a major employer of the area in addition to HEB, Walmart, and Minh Foods. Today, Deer Park ISD is comprised of over 12,300 enrolled students and more than 840 teachers. Located about 20 miles southeast of downtown Houston, the district's boundaries include most of the City of Deer Park as well as portions of Pasadena, Lynchburg, and Highlands. There are many restaurant options in the Deer Park area. Whether you are looking for a quick bite to eat or a quaint restaurant for conversation over a desert, there is something for everyone. Some of the area favorites include The Brisket House, Jimmy Changas (the personal favorite of our managers for Tex-Mex), Antonio's Italian Grill, Las Hadas Mexican Restaurant, and MOD Pizza where you can build your own custom pie or enjoy a delicious salad. For some outdoor fun, participate in Parks and Recreation Outdoor Adventure for the opportunity to explore some of the beautiful nature around Deer Park. Parks and Recreation Outdoor Adventure sponsors family campouts, kayaking trips, archery classes and camps, nature camps, outdoor cooking, geocaching, birding, hunter education, boater education and angler education classes. Our public libraries provide excellent educational and recreational programs that enrich and strengthen literacy and foster a love of reading. Deer Park is home to the impressive San Jacinto Battle Monument and Museum. The soaring monument is the world's tallest masonry column and is part of the San Jacinto Battleground State Historic Site. It was built as part of the New Deal program. Construction began in April 1936 and took three years to complete. Today visitors can visit the museum and monument to learn about the origins of the great state of Texas. We truly care about our customers, and it shows in our interactions. Our company philosophy and principles are based on treating you with a level of kindness and compassion that is greatly lacking in businesses today. LockTite Storage facilities are designed with you in mind and what matters most to you when choosing a self-storage provider. Our facilities are well maintained and cared for by friendly knowledgeable managers who put you first. See what our customers are saying about us by reading our reviews. 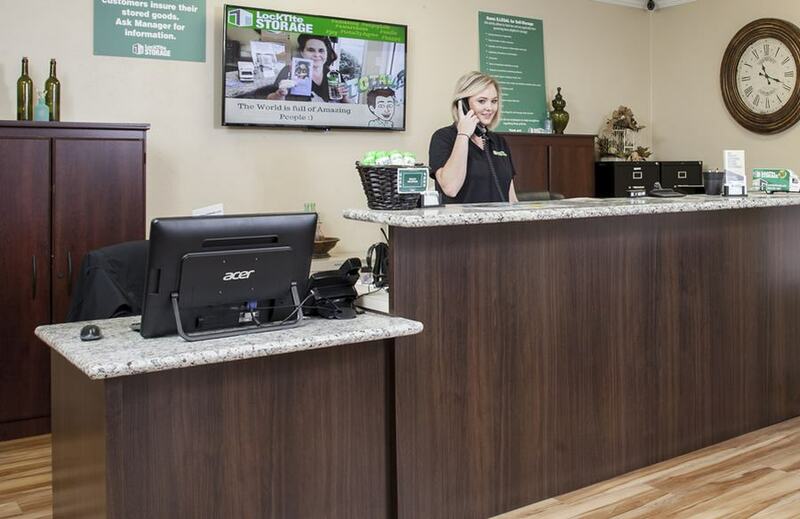 We intentionally put our customers first, plain and simple. We’ll treat you like we treat our neighbors: with kindness, hospitality, and help if you need it. 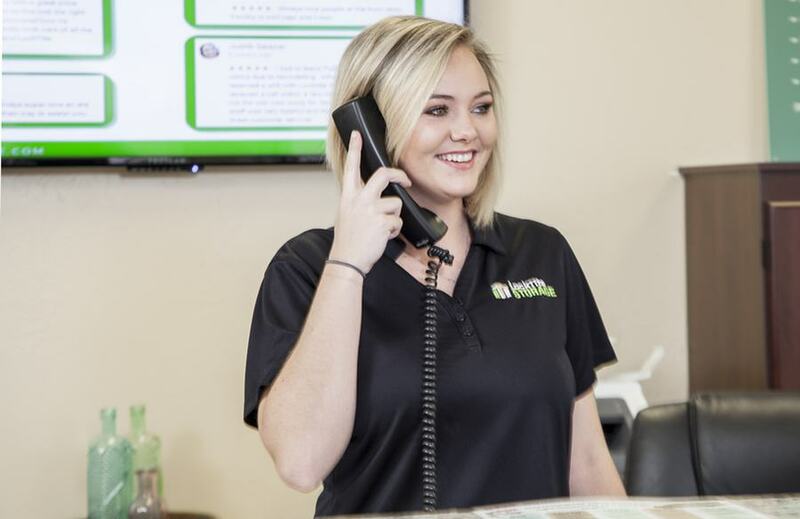 We purposefully employ kind, knowledgeable staff who exude excellent customer service by caring about their customers. After all, excellent customer service is the foundation of LockTite Storage. 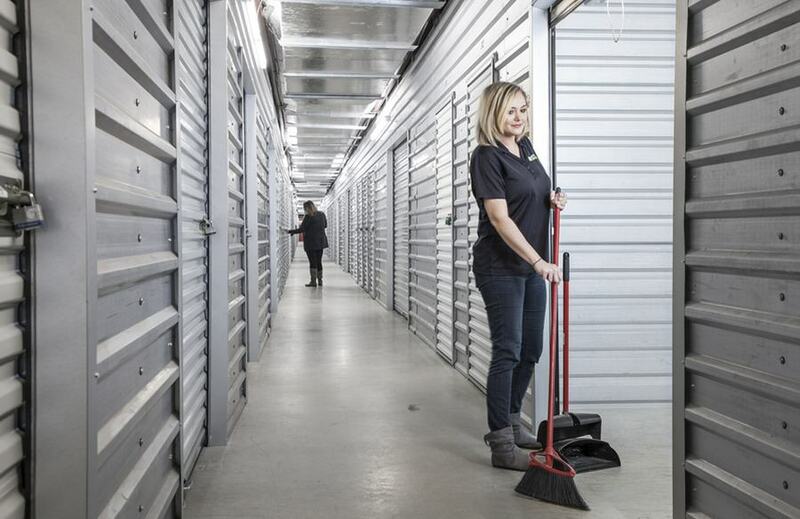 Our goal is to provide more than just a space to store excess inventory and belongings. We want to add real value to your experience at LockTite by going above and beyond the industry standards. We offer our customers FREE use of a moving truck and trailers. Our moving truck is a 14’ box truck with a dolly and pull-out ramp. We offer this to you completely free for moving in AND moving out; all you do is pay for the fuel. 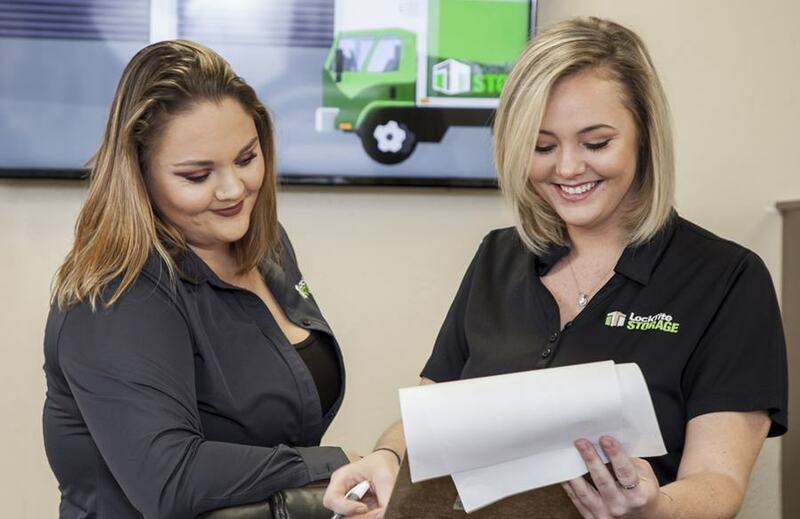 We love to have you as a customer, and never want to see you go, but we show you the same services and benefits when the time comes for you to leave us as when you move in. This saves you time and money. Our truck has a mileage limit of 50 miles a day for free and a per mile overage charge. The trailers are free and do not have a mileage use limit. LockTite Storage in Deer Park also has free use of carts and dollies available during business hours as well as stationed throughout the property. Moving can be exhausting - we get that; this is just one reason we offer complimentary snacks and beverages at all of our facilities. The other reason is that sometimes we just like to chat with you while you refuel and replenish your energy. LockTite Storage in Deer Park is located on Center Street right next door to Simoniz Car Wash. This location on Center Street, in Deer Park, is near Pasadena and La Porte, TX where we also have sister locations to serve you with RV & boat storage.